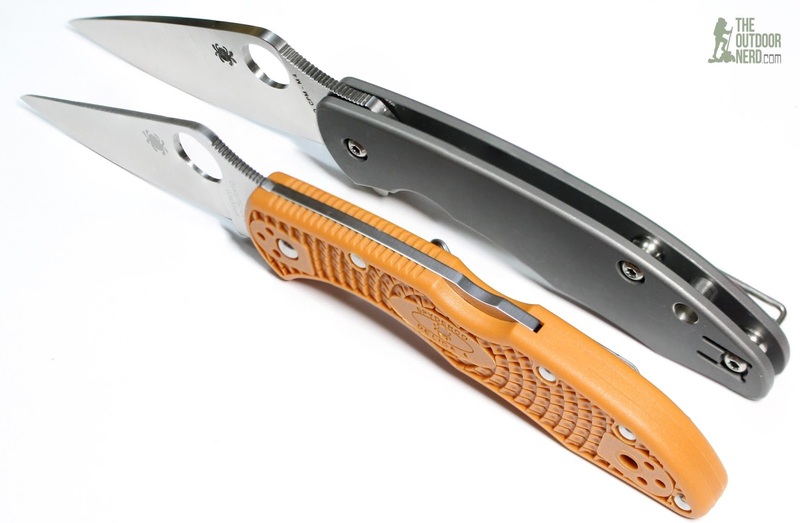 They day Spyderco released its 2016 catalog, my eyes went straight to two things: the HAP40 Delica and the Mantra. 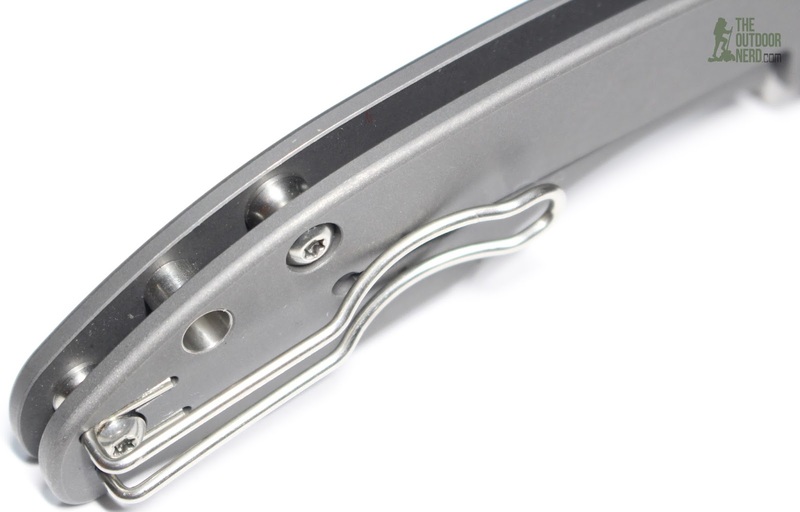 The Mantra 2 looked cool, but it looks like about 100 other pocket knives, where the Mantra looks like a Delica made as a flipper with titanium scales and a frame lock. And since the Delica is one of my all time favorite pocket knives, I ordered one from BladeHQ, who, like everyone else, seemed to have them in stock for about an hour. I got pretty lucky. They now show as out of stock, and other stores I looked at show them back to being pre-order. I do notice that there’s an Amazon seller who has the Mantra in stock for about 30 bucks more than I paid for mine. It pays to be a fast clicker! 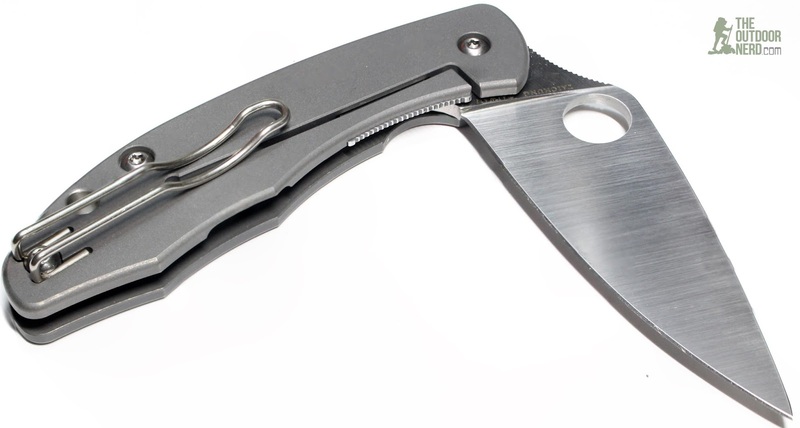 The Spyderco Mantra is a very Delica-looking EDC type “flipper” folding knife with a Delica-shaped but slightly larger and thicker blade made of CPM-M4 tool steel. 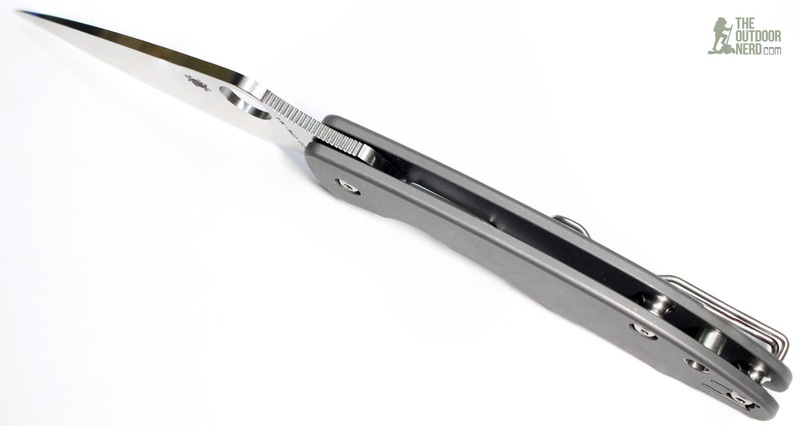 It has an integral frame lock made from titanium, with a steel insert on the lock itself. 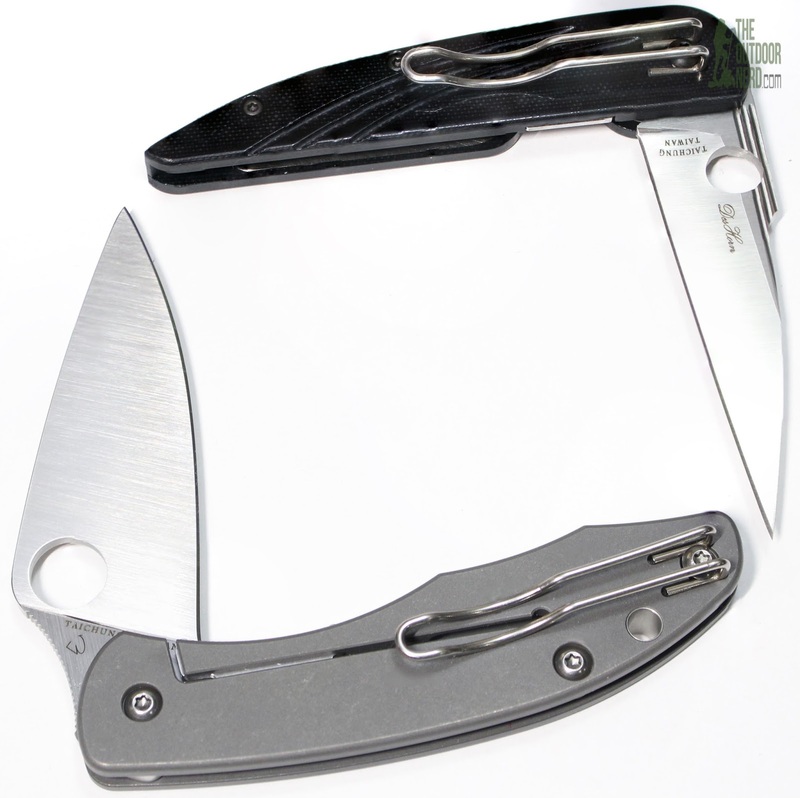 It’s made in their Taichung, Taiwan factory, which is well known for taking American steel and making knives with a ridiculously good build quality and finish. Taking it out of the box, I noticed a little rust on the etched spider pattern they put on the presentation side of all their blades. CPM-M4 is a semi stainless steel and I’ve read that this is common with some of there knives and has to do with the etching. I will probably put a dab of food safe mineral oil on it. Flipping it open, it’s smooth, but not as smooth as I imagined it to be. My sister had expressed concern that smooth titanium would make for a poor grip. 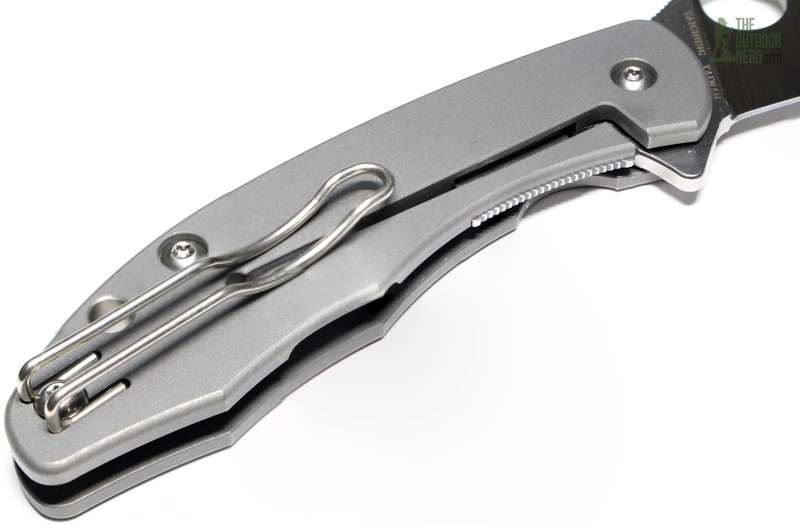 For the most part I agree about smooth titanium scales, but as long as you leave the clip on, the clip gives it a decent grip. So, like other knives I’ve handled with smooth metal scales, taking the clip off isn’t a good idea. At this price point, I would expect this the Mantra be a good quality knife, and it is. The scales aren’t made out of some titanium alloy–they’re titanium. The blade, grind, even the hardware–it’s all well done. 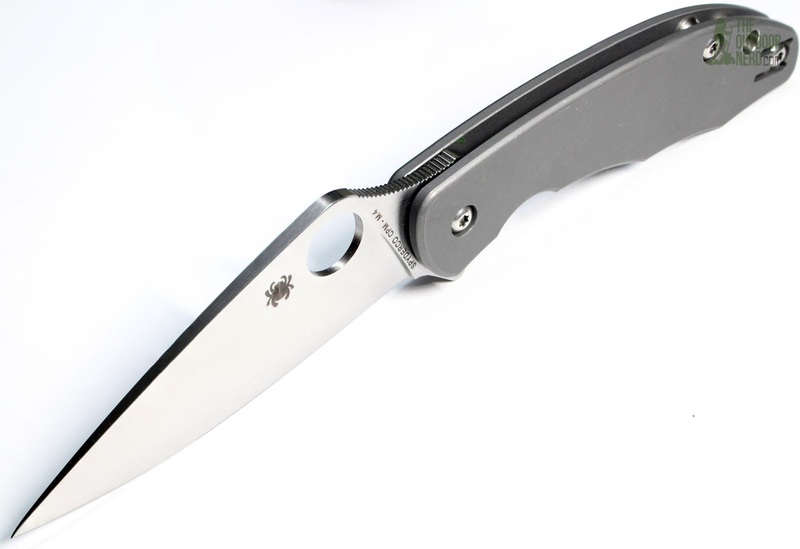 Many people mistakenly think that Spyderco farming some models out to an Asian country is a measure of a greedy, cost-cutting company. Those people would be wrong. While the raw materials are usually the same as their USA models, the finish of their Taichung models usually stands above that of all their Italian, USA, Japanese and Chinese models. Overall, very good. It’s disconcerting to get a rusty spider on my blade, but I understand that CPM-M4 is a semi-stainless steel, and it’s supposed to be a by-product of the etching process. For a second I thought they botched the etching, because it didn’t have a uniform color, but then I realized that non-uniform color was a rusty-brown, and then it clicked that I read somewhere that this is a common issue. But yeah, it wouldn’t hurt if they cleaned and oiled the little spider. Other than that, my Mantra is almost a perfect specimen. The scales had a couple ever-so-slight scuffs, but these kind of scales scuff if you look at them funny, and I would guess are impossible not to put on since you can’t put it in a box without handling it. The blade is perfectly centered and deploys smoothly. It also have an almost perfect edge on it. I noticed that about the Des Horn when I got it. It’s just a beautiful knife. The Mantra’s blade has a very similar shape to the venerable Delica, and shares its full flat grind (FFG) though it’s a little taller and thicker blade stock. The blade is as beautiful as it looks in the photos, made of CPM-M4 high speed tool steel. The grind, the edge, the centering–everything about it is perfect. Well, except for a little rust on the spider that cleaned up. Part of the reason I’ve always like the Delica is because its blade geometry is so useful for EDC, and this is a very similar if slightly larger blade. But like I said above, leaving the clip on the knife at least gives it a good enough grip to handle it with wet hands. My brother loves his stonewashed metal frame lock Kershaw I gave him for Christmas, so many people like this clean style and simple functionality. This model is an un-assisted flipper. A little lever sticks out the back of the knife, and when you push on it with enough force, the blade flicks open. Like other un-assisted flippers, it helps to put a little wrist motion into it. Deployment on mine is smooth, and it locks up solid and has a good feel. This is my first Spyderco flipper, and I like how it feels, but I guess I was expecting it to be a little smoother. I realize that it’s not on ball bearings or anything super fancy, but it doesn’t feel too much different from, say, a Kershaw Skyline, which only costs about 30 bucks. Overall the deployment is a good experience. This models features a “Reeve Integral Lock” which is a fancy way of saying it’s basically just a piece of titanium. I liked the way they did the stainless steel stop, which also has some jimping on it which makes it almost feel like a liner lock to my thumb. So it’s a frame lock that feels like a liner lock. The lock on mine is well done. The best word I can think of is: robust. This is a robust lock. The Mantra has a two way tip-up, wire deep carry clip. An inexperienced buyer may also be tempted to think that the wire clip looks cheap, but it saves weight and has a great feel to it. But having said that, I do prefer the solid clips. Though it does save some weight, and the Mantra is already a little pudgy at 3 ounces even. My Mantra is a little heavy, the handles are a little too smooth, and it’s a little expensive. This one is probably going into my collection. Maybe I’ll take it out if I wear a suit or it’s a special occasion. For EDC, it’s not really what I’m looking for. Not when I have so many other knives. The blue Native S110V lightweight hasn’t left my pocket since I got it. But there’s nothing inherently wrong this this for EDC, especially as a “gentleman’s EDC.” It’s also something that you could beat up on every day and have it hold up to the abuse. With a blade made of USA tool steel and titanium handles, the Mantra is no wallflower if you want to get your hands dirty. Just be careful if your hands are wet. This is a magnificent knife, even if I don’t intend to carry it, or at least EDC it. I just founded my own technology company, which I am the president of. Once I start getting paid like the president, I might just carry the Mantra around the office. Thanks! 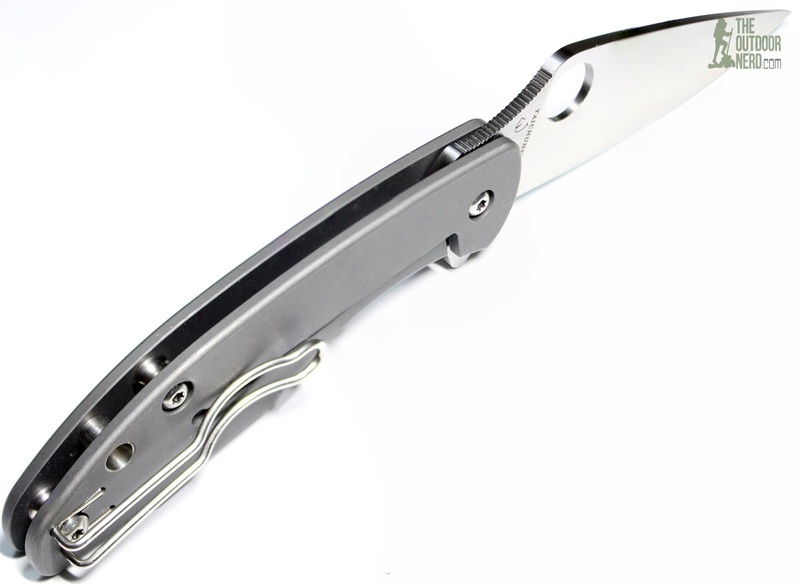 I still don't see where Sal or anyone at Spyderco has definitively said that it has a ball bearing pivot, but I believe you, and it sounds reasonable to believe given their other models. This one is going to be a catch and release so I'm not going to worry about it.